Save Marinwood-Lucas Valley - our community, our future: Dump Truck Convoys to Roll on Lucas Valley Road Soon. 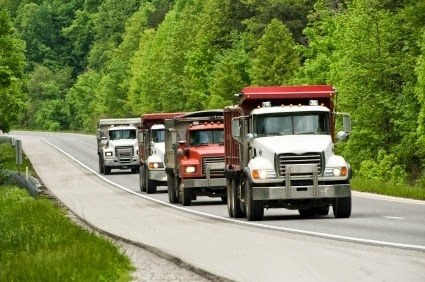 Dump Truck Convoys to Roll on Lucas Valley Road Soon. related to the approved development project to be off-hauled to one or more off-site locations. trucks are rated at 66,500 lbs maximum gross vehicle weight when loaded. not proposing any other revisions to the Design Review project, as previously approved.